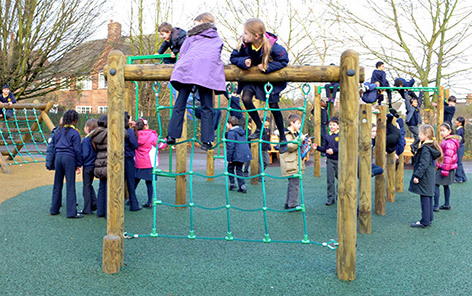 What were the reasons for developing your outdoor space? 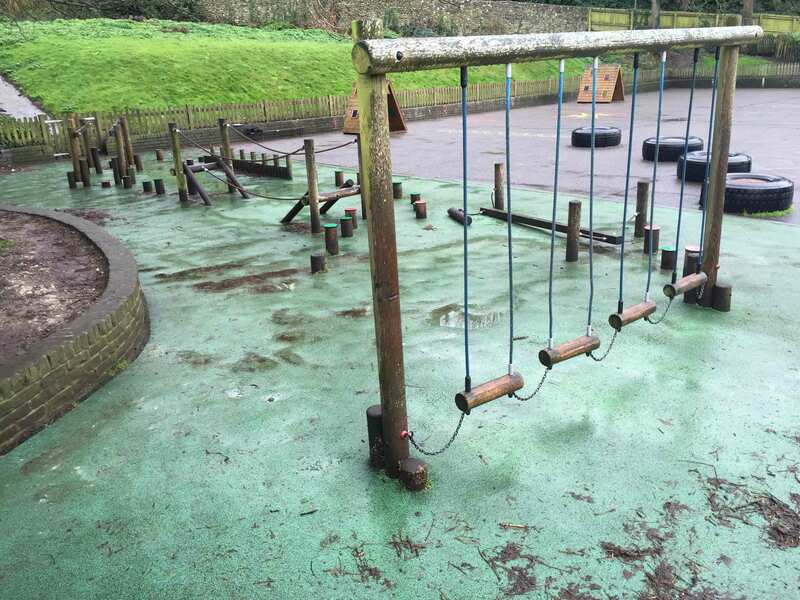 The old rotten equipment was completely removed by the team, which then left us with a blank canvas to transform the area. 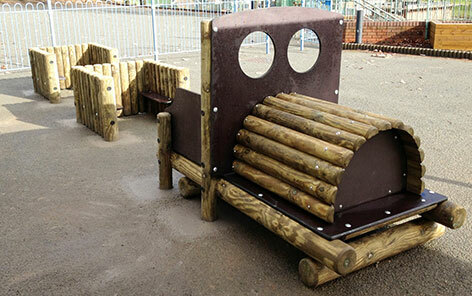 Working within the space available the design team created two bespoke units to help encourage further physical activity. 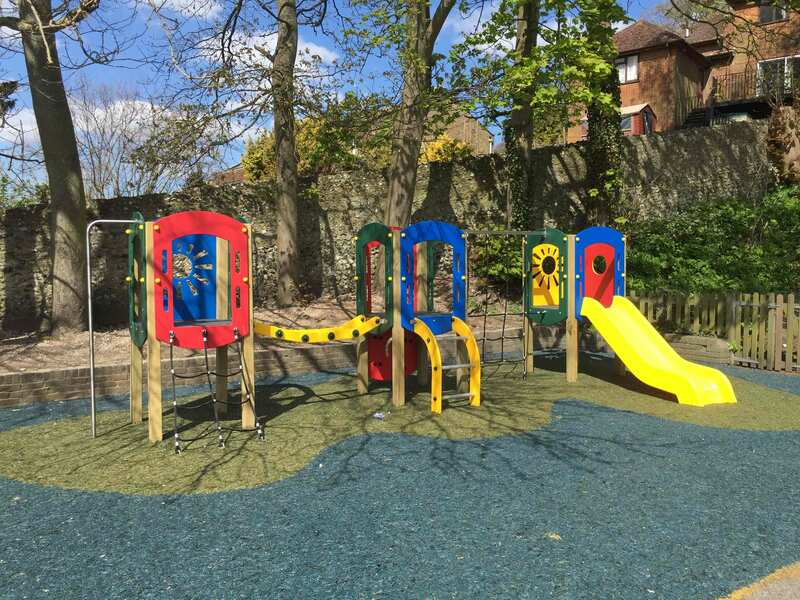 A bespoke Combination Trail and Multi-Play Tower in vibrant colours has really transformed the area. 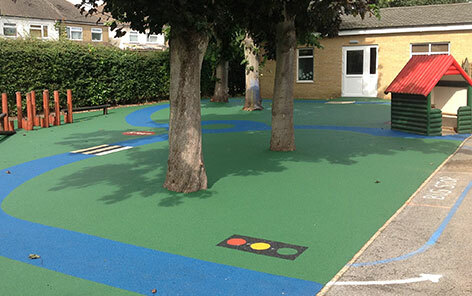 To compliment the new equipment we also installed a land/sea themed safety surface to complete the area. 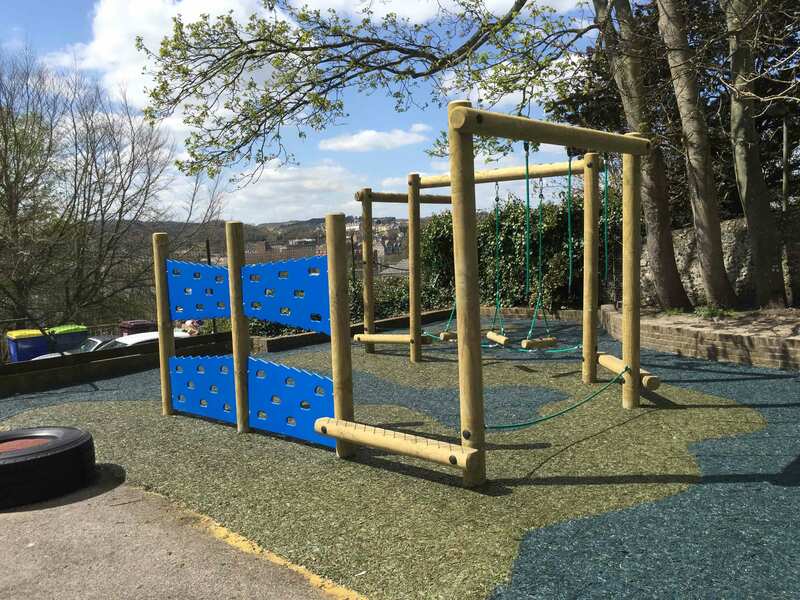 Each unit will help the children improve balancing, traversing, stretching and climbing in order to help develop co-ordination, confidence, upper and lower body strength, as well as strengthening their core stability. 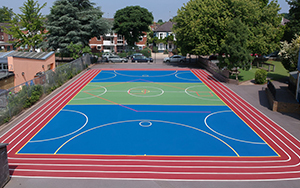 What were your main reasons for working with EPE over other competitors? 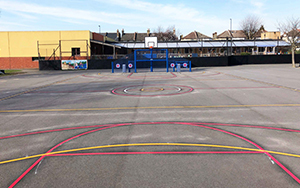 As we have always said here at EPE we are extremely proud of the relationships we build with our schools and the ongoing commitment to providing top quality play areas again and again. 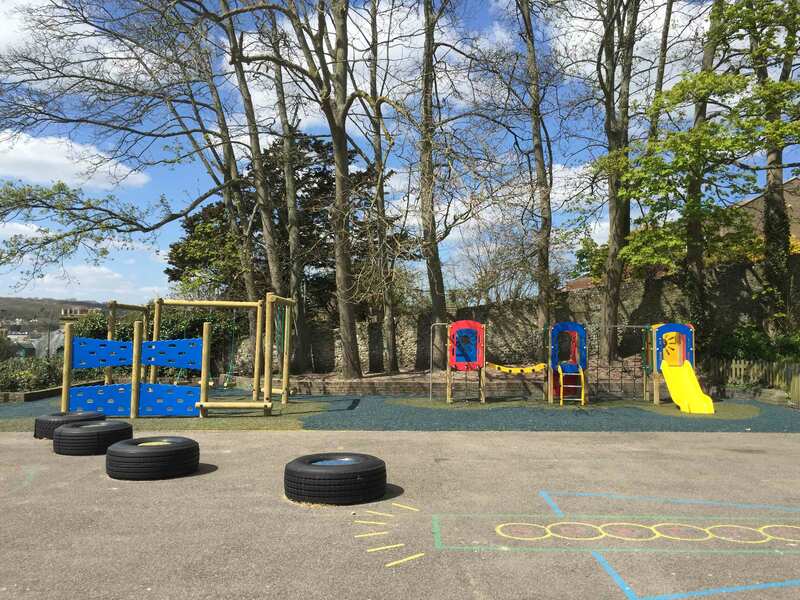 Having previously had a quiet area created by us St Mary’s C of E School now wanted an area over the other side of the school where they could be a bit noisier! 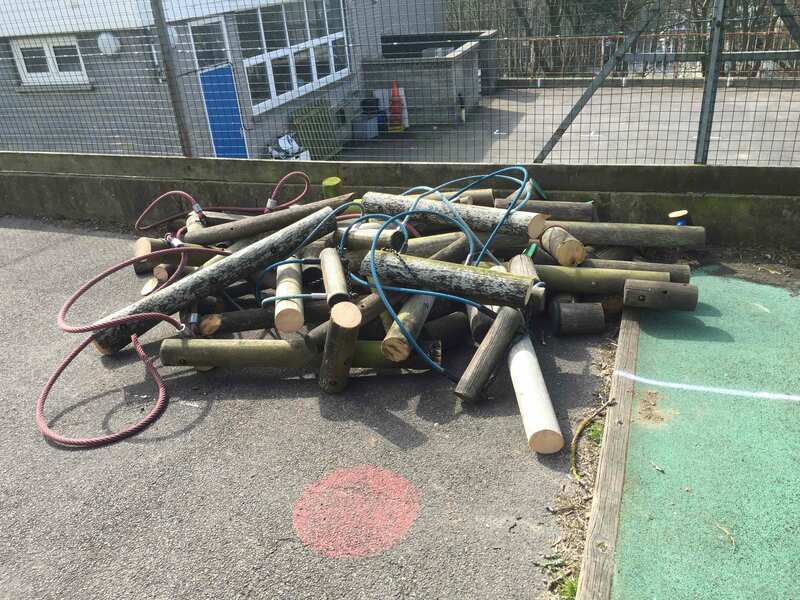 The first step was to remove some existing fencing sectioning off an unused area of grass, as we all felt it was a waste of play area for the children. 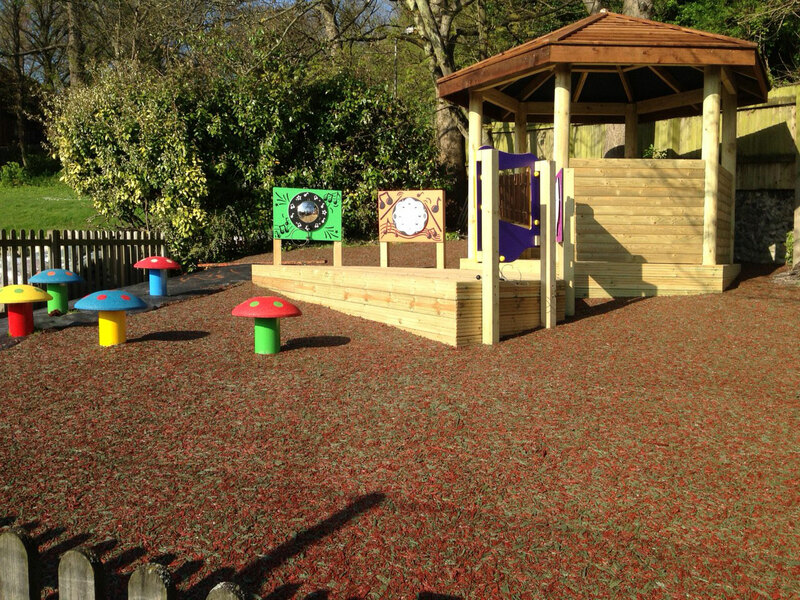 We provided a performance stage that was attached to a covered outdoor classroom. 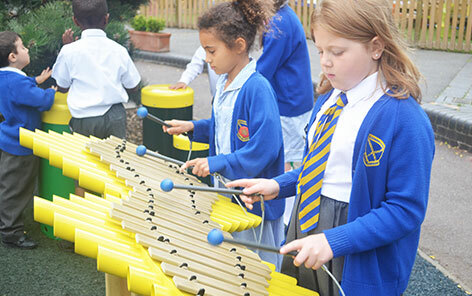 Along the boundary of the stage some new musical instrument panels were included and for the audience of course some Mushroom Stools. 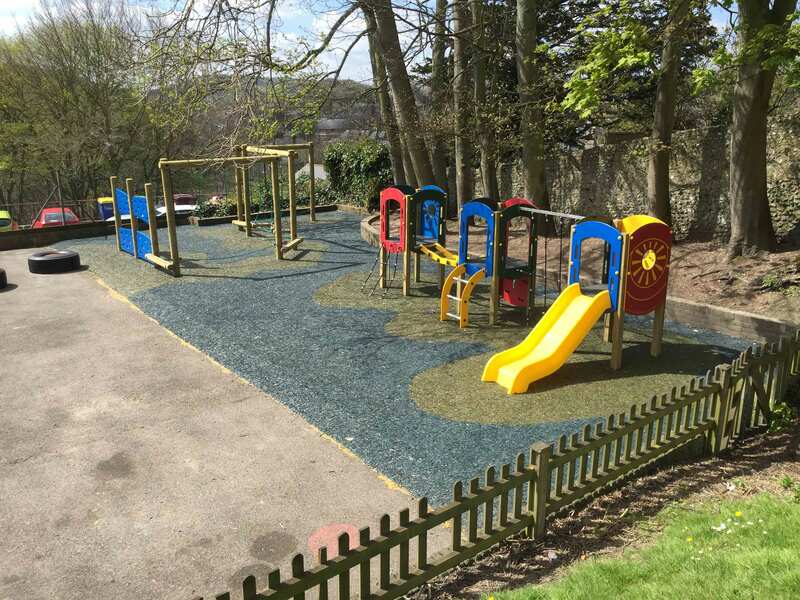 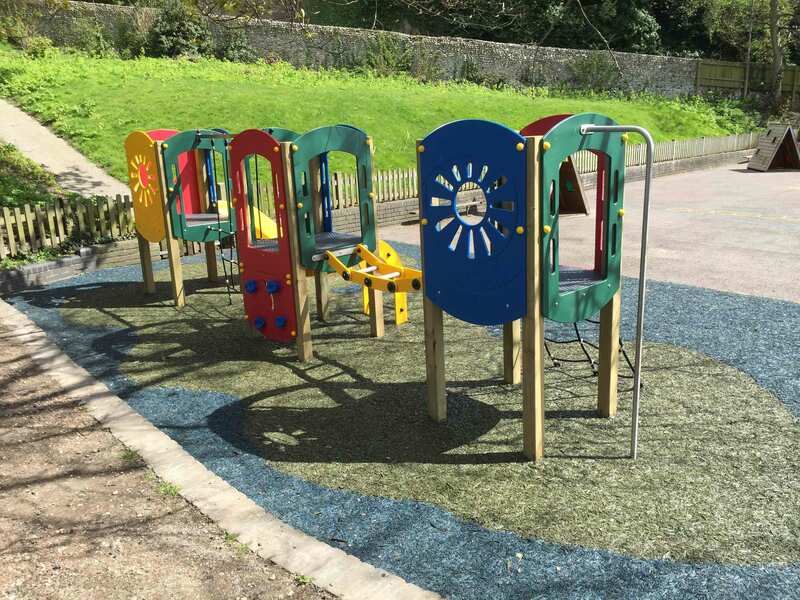 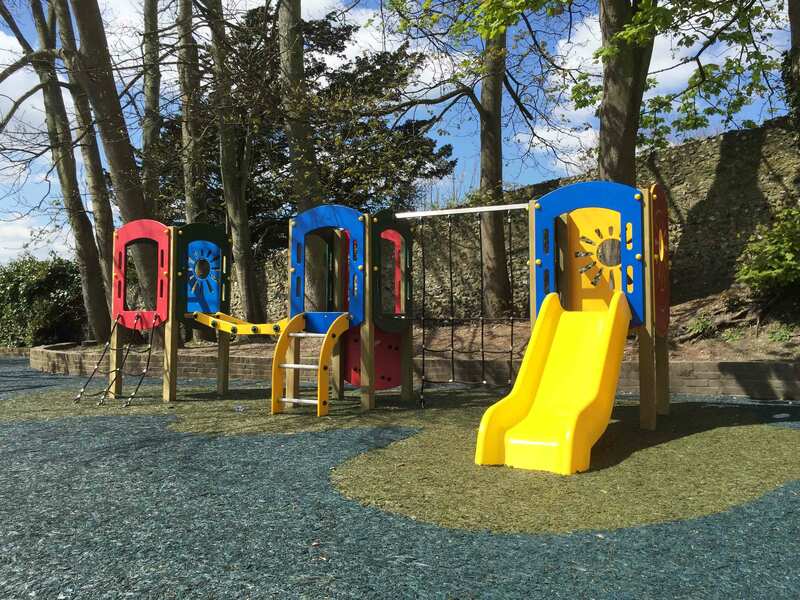 A large quantity of recycled rubber mulch was laid underneath to bring the new area to life and provide a lot more accessible space in all weather conditions. 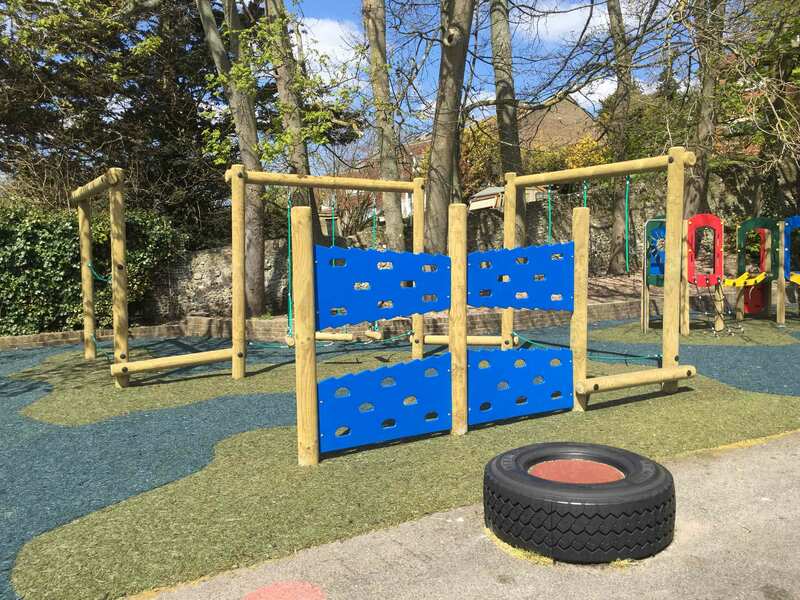 The children now have a place to act and perform improving their dramatic and role play skills while increasing their social abilities. 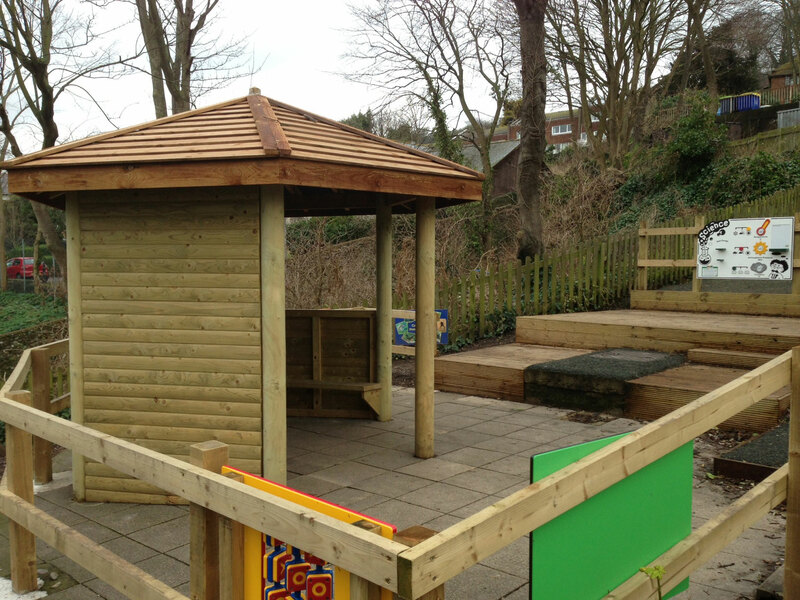 The Outdoor Classroom has plenty of room for children to sit in between acts or while being told a story. 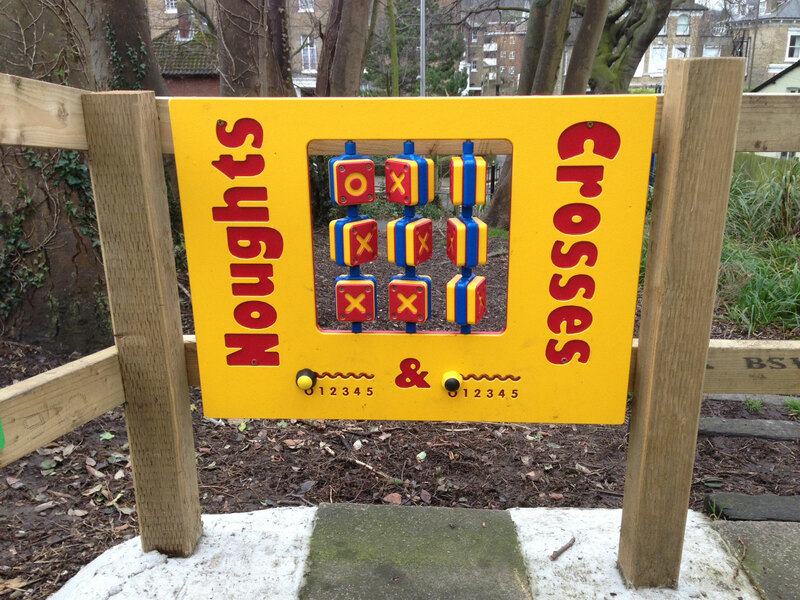 The Musical Panels will help all of them discover their creative side and we’re sure there will be some top tunes recorded. 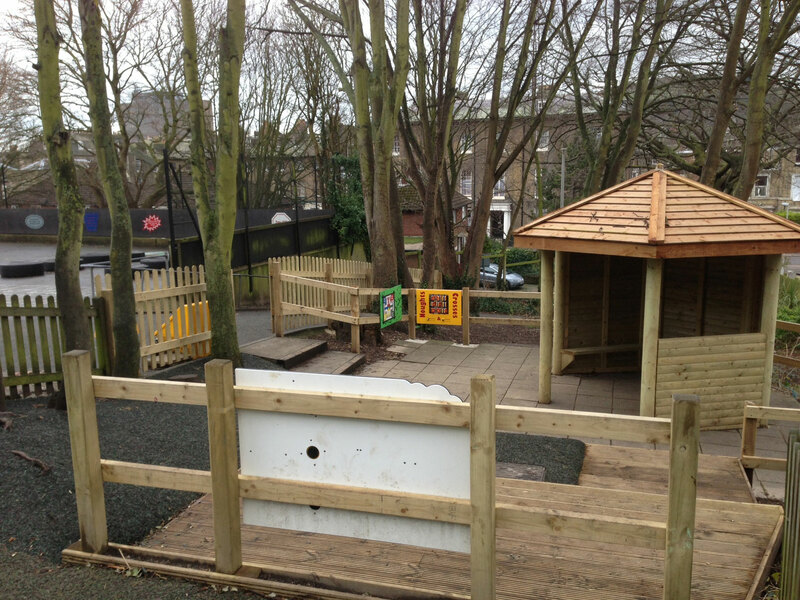 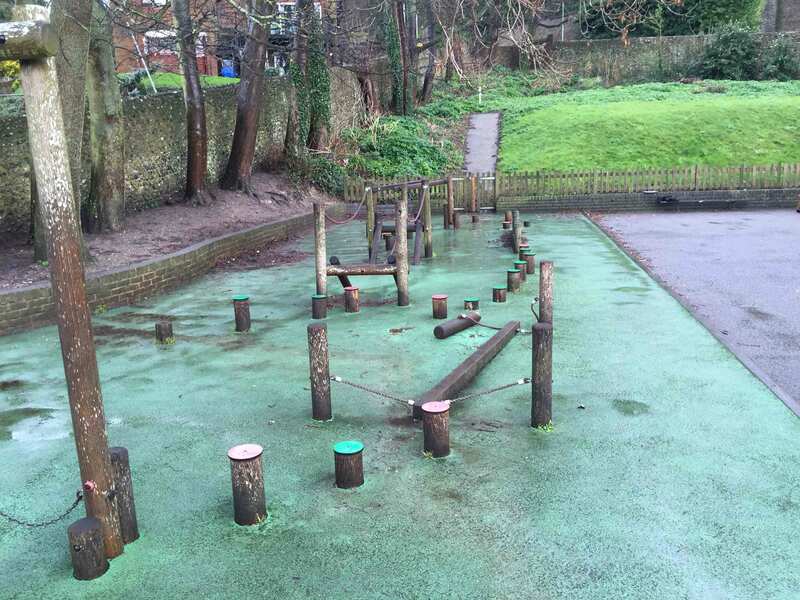 We were tasked with creating a new Quiet Area from an out of bounds, muddy and sloped section of the playground. 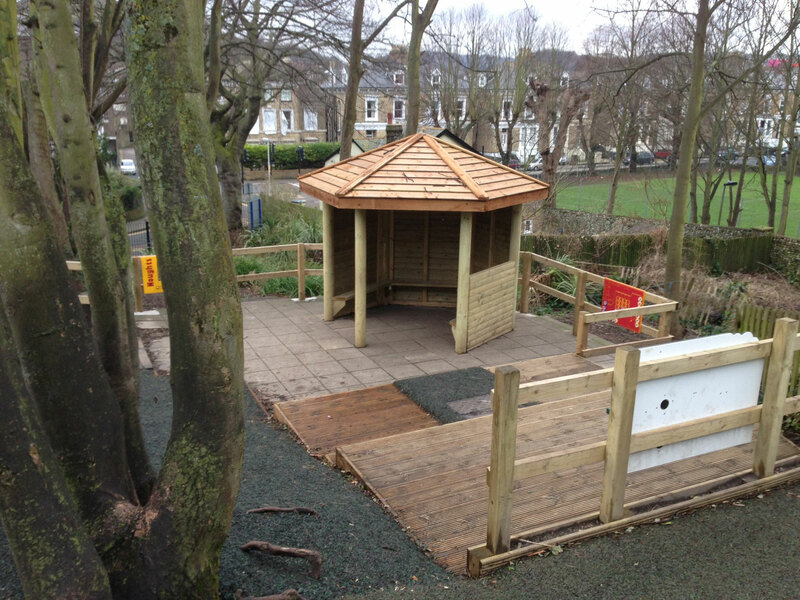 After the removals of the rotten existing timber were carried out the design team’s ideas were realised in the shape of a new 3m Hexagonal Classroom, placed on the existing paved platform. 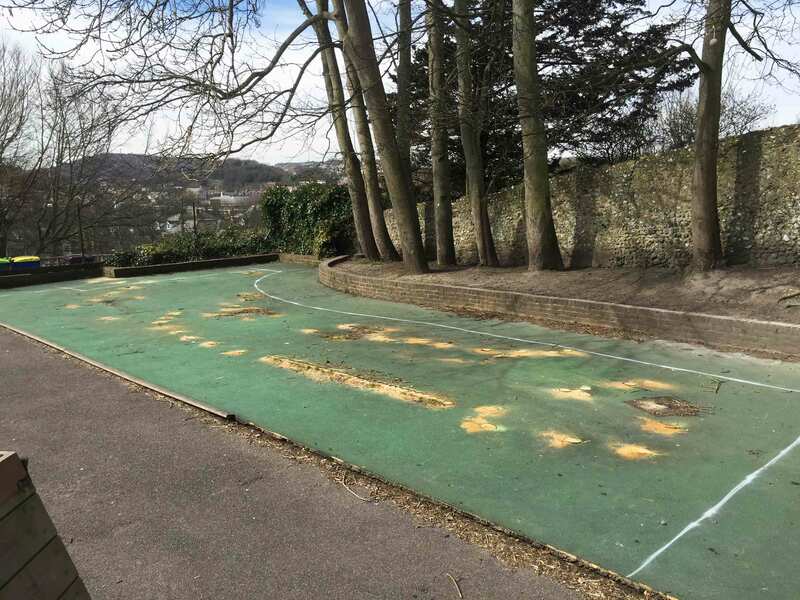 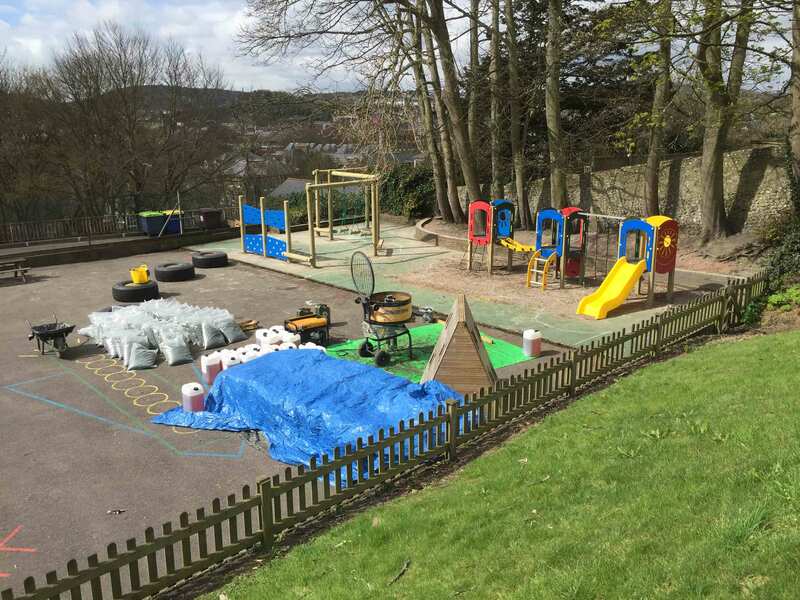 A new 2 tier decking platform was installed to remove the danger of the muddy slope and turn it into a useable area for seating, imaginative play and also stage performances. 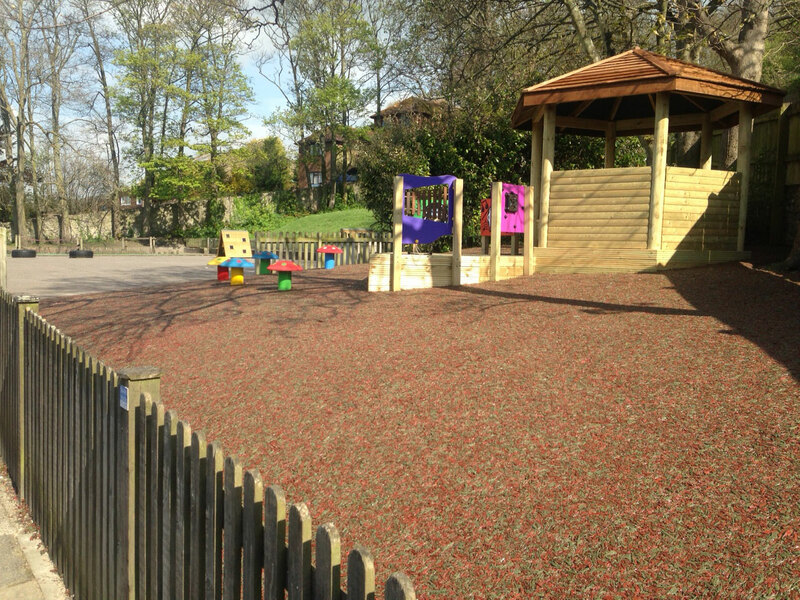 Bonded Recycled Rubber Mulch Safety Surfacing was laid around the sides and back of the new equipment providing an all weather area for the children. 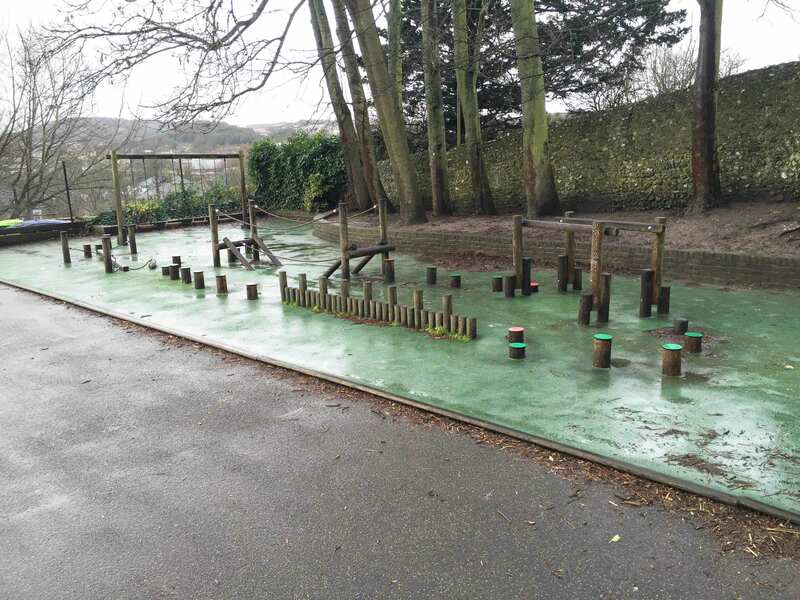 To finish, a selection of Educational Panels were included to add individual and team game opportunities and timber fencing to contain the quiet areas’ new visitors safely. 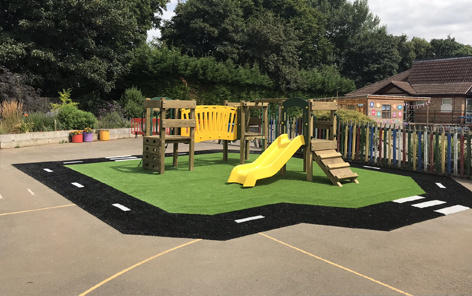 The children now have access to a new quiet zone where they can escape from the usual hectic nature of the tarmac playground. 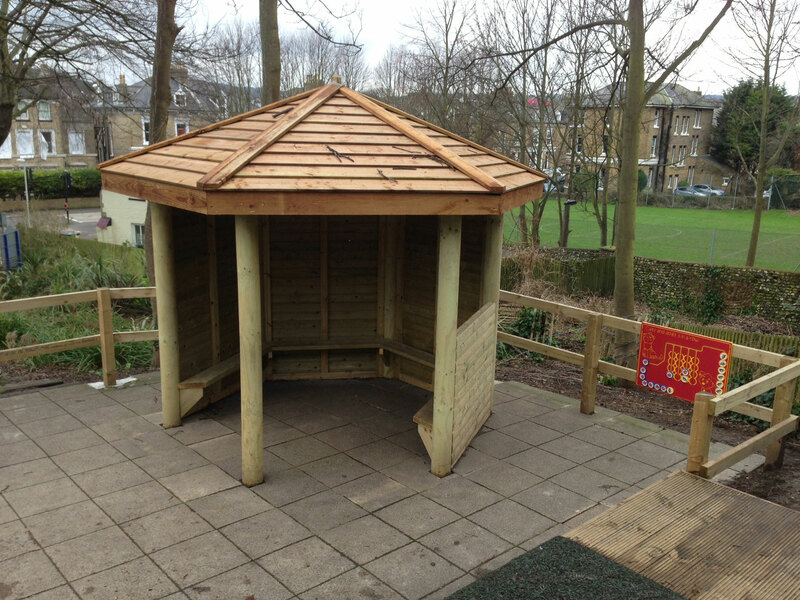 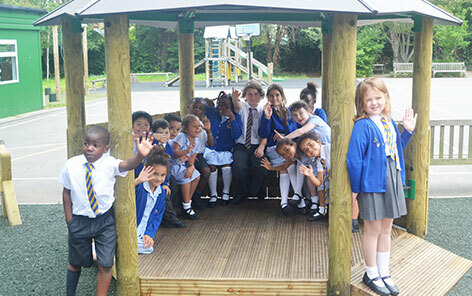 The 3m Hexagonal Classroom provides shade and shelter for up to 15 children whilst offering a place to meet, read and chat helping to improve their social skills. 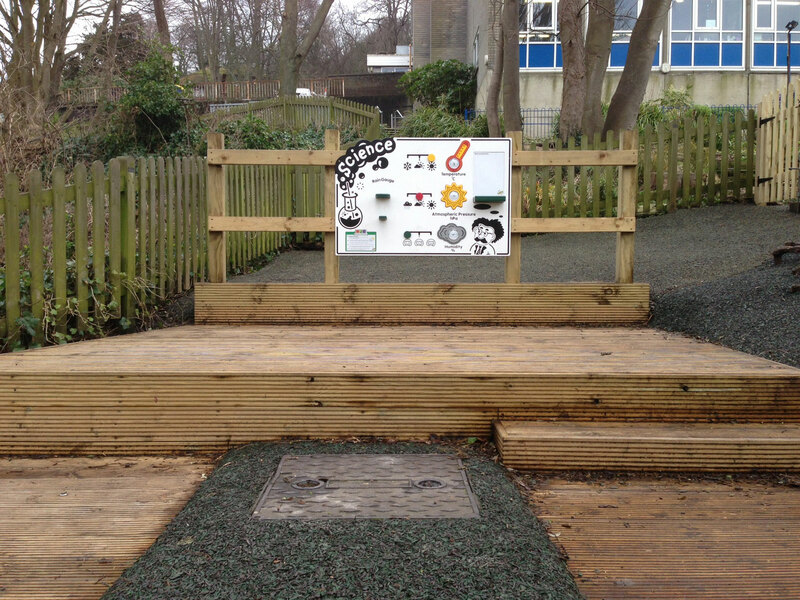 The new decking offers a place to perform dramatic plays and have an audience watching. 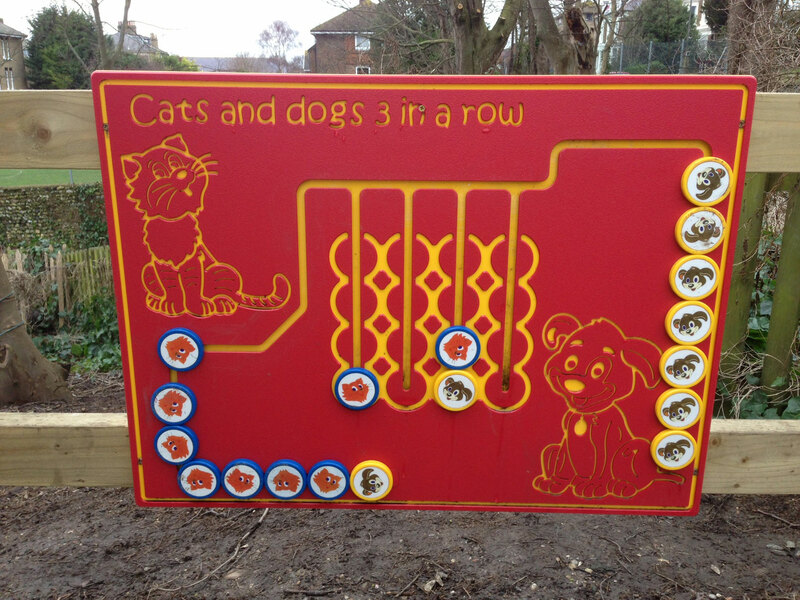 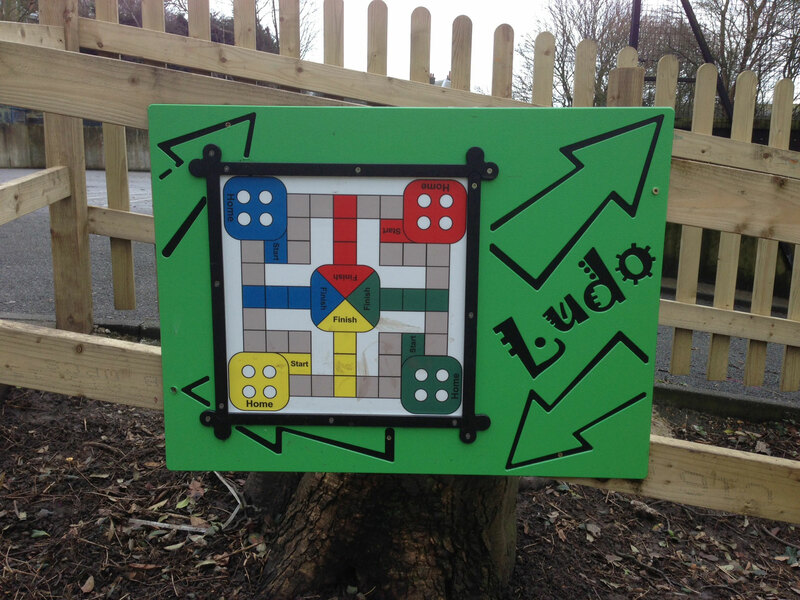 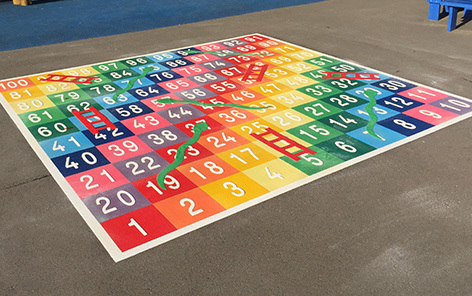 There are opportunities to take part in individual or team educational games using the Play Panels. 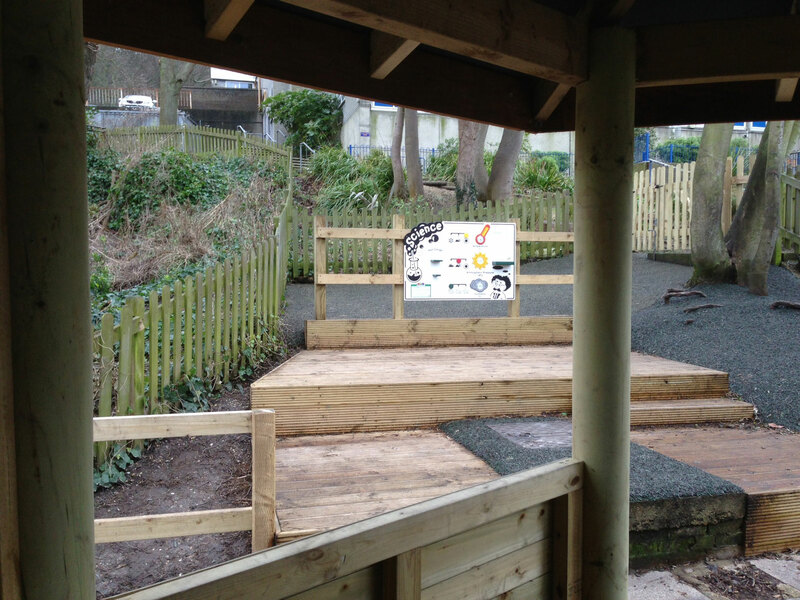 Finally being able to access the unused slope behind and to the sides offers a new natural looking, calming space.